The new heart was on its way down from the helipad. At the same time, Cynthia Herrington, MD, was carefully removing Ruben’s old heart from his chest. It was a heart she had seen before—she had operated on it when Ruben, now 2, was just a few days old. She knew every inch of it: the missing left ventricle, the pulmonary arteries she had previously patched together, the leaky atrioventricular valve that had caused so much trouble, and the superior and inferior vena cava veins that were reversed—with both on the left side, rather than the right. And of course, she also knew that Ruben’s entire heart was actually completely backwards in his chest. Yes, backwards. In other words, this would not be a typical heart transplant. In fact, it would be the first-ever dextrocardia (backwards heart) transplant at Children’s Hospital Los Angeles—and one of the most complex surgeries of Dr. Herrington’s 20-year career as a congenital cardiothoracic surgeon. So, was she worried? Not a chance. The day before his transplant—on a hot August Sunday afternoon in the San Fernando Valley—Ruben had been at home, playing with his 6-year-old brother, Aidan. Up until the moment when his mom’s phone rang, it had been a normal day. At least, as normal as things had been since Ruben was born in April 2016. From birth, his heart had struggled valiantly to keep him alive. He underwent his first open-heart surgery at CHLA when he was just a few days old. Dr. Herrington performed the procedure, called the Norwood, which is the first of a series of three surgeries used to reconstruct the hearts of babies born with HLHS (a condition where the left ventricle, or pumping chamber, is missing). At the same time, she also patched together his pulmonary arteries. But because of Ruben’s many other defects—especially that copiously leaking valve—he continued to struggle. But while the odds were against him, Ruben had other, more important things on his side. 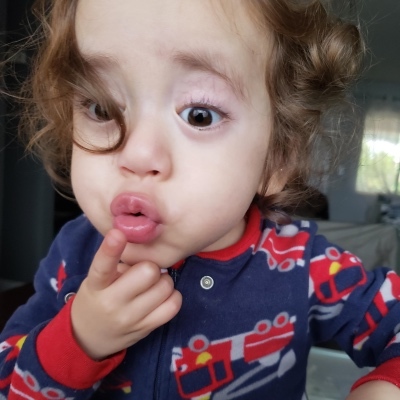 Like people—the dedicated, highly skilled team at CHLA that fought for him every step of the way and was uniquely positioned to treat his extremely complex case; his devoted parents, Lily and Carlos; his big brother who always protected him; and his whole extended family. There was also his own unflaggingly happy nature. 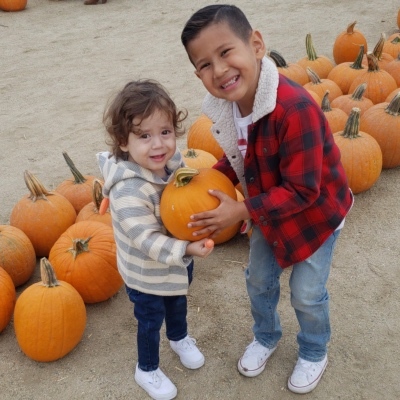 By 3 months of age, Ruben was back in the hospital at CHLA, in severe heart failure. At that point, he was too unstable for the team to consider a transplant. Time appeared to be running out. Fortunately, despite Ruben’s fragile condition, Heart Institute Co-Director Vaughn Starnes, MD, was able to complete the second HLHS surgery for Ruben (called the Glenn). At the same time, he managed to partially repair Ruben’s troublesome valve, which had been barely functioning. It was a lifesaving fix that bought Ruben precious time, and slowly, he recovered and went home. But it wasn’t a permanent solution, and eventually, the valve began leaking again. His only hope now was a transplant. In March 2018, he was put on the waiting list for a heart. Because he was relatively stable, he was able to be at home instead of the hospital. Now, everyone just had to wait—and hope he received a matching heart in time. So on that hot afternoon of Aug. 19, 2018, when Lily got the call that a heart was available for Ruben, she knew it was excellent news. Still, she found herself overwhelmed with another emotion: fear. At that moment, it pained her to have to interrupt Ruben’s happy playtime, gather his things and buckle him in the car—knowing full well he was headed into the biggest, most complicated and most dangerous surgery of his life. At 7 p.m. the next night, she and Carlos watched as their son was wheeled away into surgery. Then, they settled in for the long wait ahead. 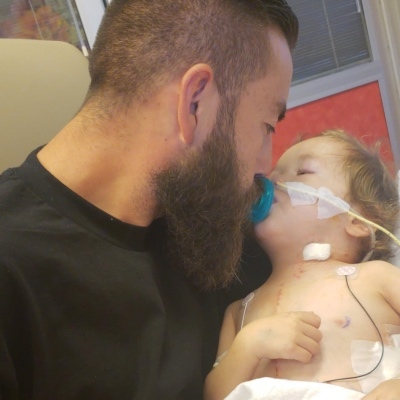 Before she could even begin to connect Ruben’s new heart, Dr. Herrington and the CHLA surgical team had to create a delicate patchwork “quilt” of new connections for him. To build new connections and vessels for Ruben, she first needed raw material. At her request, the donor’s surgical team had brought back not just the new heart, but also the donor’s entire innominate vein (a main artery) and the pericardial sac that the heart sits in. Using these pieces, along with something called homograft (human cardiac tissue from deceased donors), she and the surgical team went to work—meticulously detaching vessels and arteries connected in the wrong places, patching up those holes, creating hoods of tissue to bridge gaps, attaching the vessels to the right places, arranging everything neatly, and finally, tucking the donor heart comfortably into its new home. Around 12:30 a.m.—five-and-a-half hours after Lily and Carlos had watched Ruben get wheeled into surgery—they saw Dr. Herrington walking toward them in her scrubs. The surgery had gone fantastically. Ruben’s new heart was in. Today, Ruben is almost 3. He loves nerf guns and motorcycles, splashing in rain puddles, hugging babies (yes, you read that right) and roughhousing with Aidan—often leaping on top of his brother when he’s lying on the sofa. He is constantly running around the house. That said, his recovery from surgery was by no means easy. He was on a ventilator for 17 days, was briefly in kidney failure, and at first, he wasn’t walking or talking or even smiling anymore. His medications had to be adjusted, and Dr. Badran eventually had to put stents into his pulmonary veins to allow the blood to drain better. But Ruben, in true Ruben fashion, persevered. Today, while he takes many medicines and has regular speech, physical and occupational therapy, he is doing great. She also stresses that Ruben’s success was made possible by the whole Heart Institute team at CHLA—from anesthesiologists to cardiologists to critical care nurses and more. “You cannot find this team anywhere in the United States. I believe that entirely,” Dr. Herrington adds. 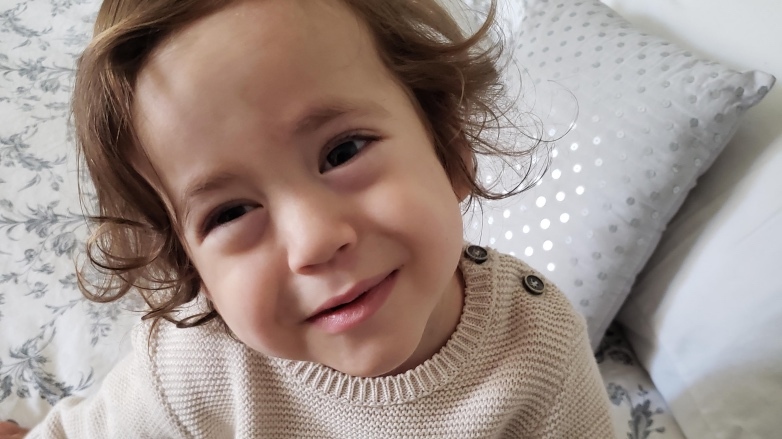 Lily, meanwhile, wants to say thank you—to the family who donated Ruben’s new heart, to Dr. Herrington and the surgical team, to Dr. Badran and all the doctors and nurses at CHLA who have been involved in Ruben’s care. To give kids just like Ruben a healthier future, please consider making a donation to Children's Hospital Los Angeles. Visit CHLA.org/Donate.